Uncopy is now on iPhone! Recently the game was approved by Apple and is now live on the App Store. You can buy it for 0.99$ here. The best game experience can be expected on iPhone 5 and 4S. I will be happy to receive feedback, so feel free to comment and rate the game. A puzzle game where your aim is to destroy all movable blocks that fly on the game field. Hi, thanks for your feedback! 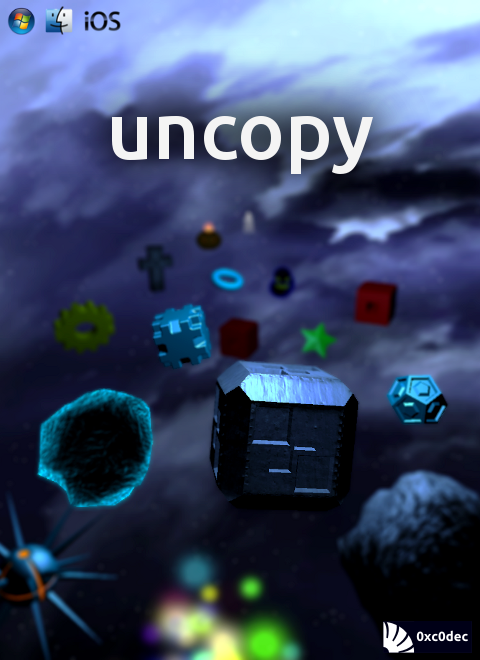 Unfortunately, I never played those games and never played any games on Amiga as well :( Uncopy was actually inspired by a very old mobile game that I had on my phone a couple of years ago. I loved that game very much and always wanted to make something similar for PC. P.S. Hi Oxc0dec, did you get this idea independently, or have you played Brix in the past and thought you'd make something similar? Moved all my super secret stuff from Bitbucket to Github. Just hoping they won't start charging for all private repos again. It's been a while, Twitter. Last time we met you were still 140 characters small.